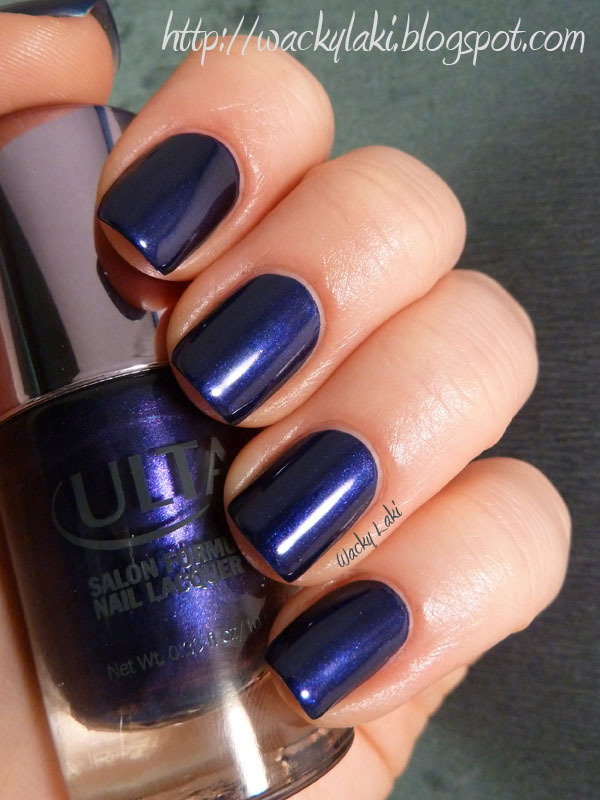 Wow this is a gorgeous blue. Ahh purple.....what is it about this color that is so impossible to capture? Makes you wonder how polish companys are able to capture it! Very pretty blue... Love this! I haven't yet found a good way to capture purples - I'm kind of wondering if the sensors in digital cameras just can't see the same colors that people do. I have tried doing things like putting a purple object next to a blue one for contrast, when I look at the picture, they both look blue! You're not! My camera shows purple as blue! Is is still pretty! Thanks! I'm glad you like the color even if it is not entirely accurate. At least I'm not the only one with trouble capturing the color!